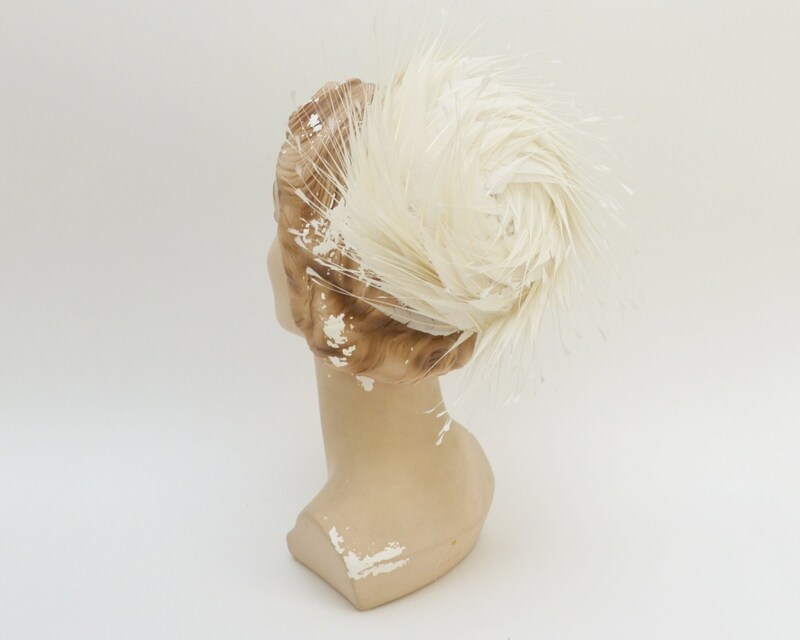 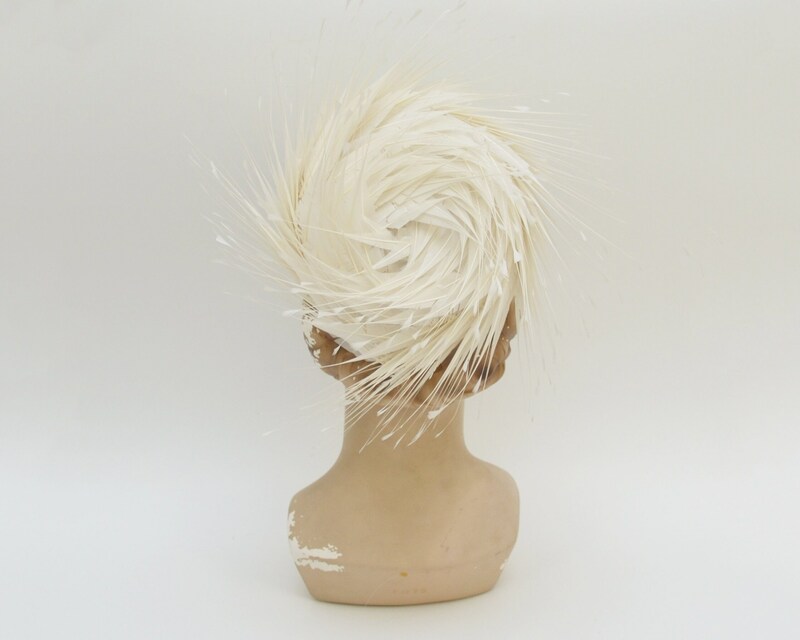 It's hard to find a hat that is both made of a ring of delicate feathers that extend away from the hat in such pristine condition, and in white no less. 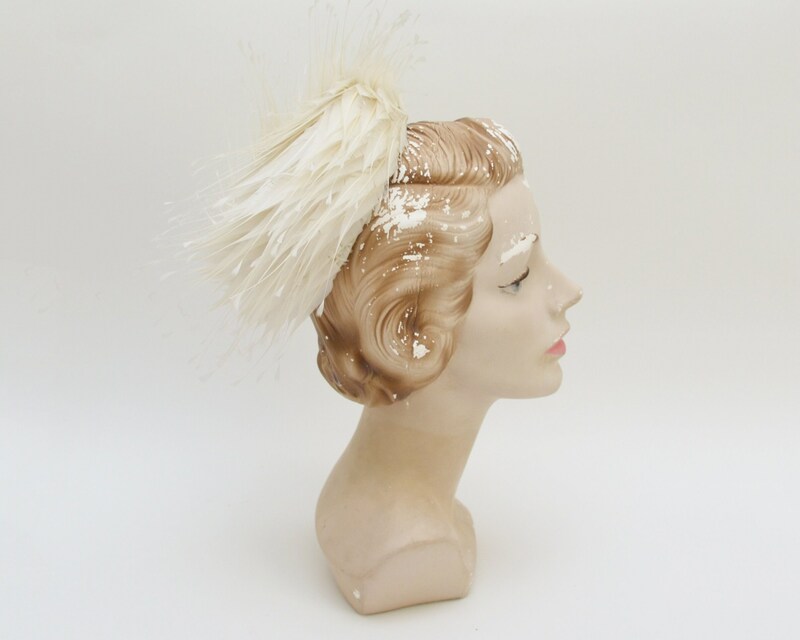 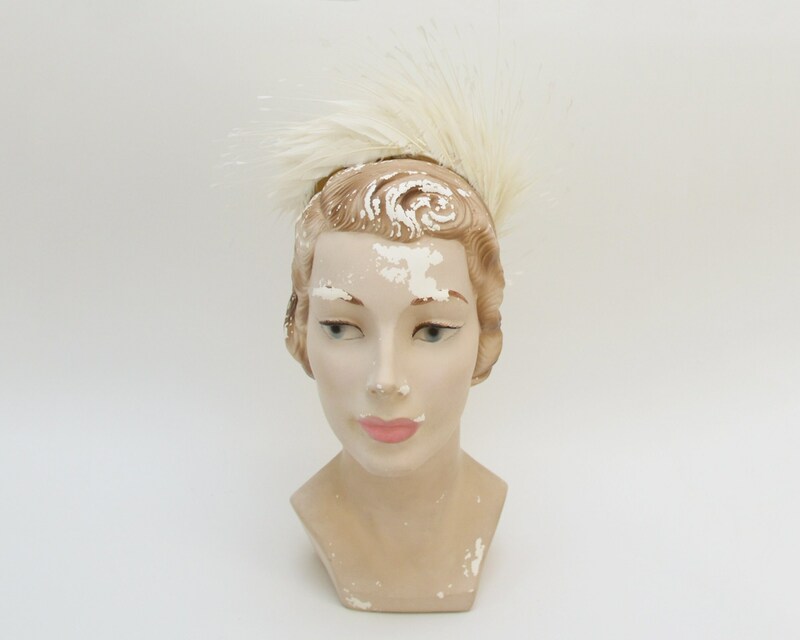 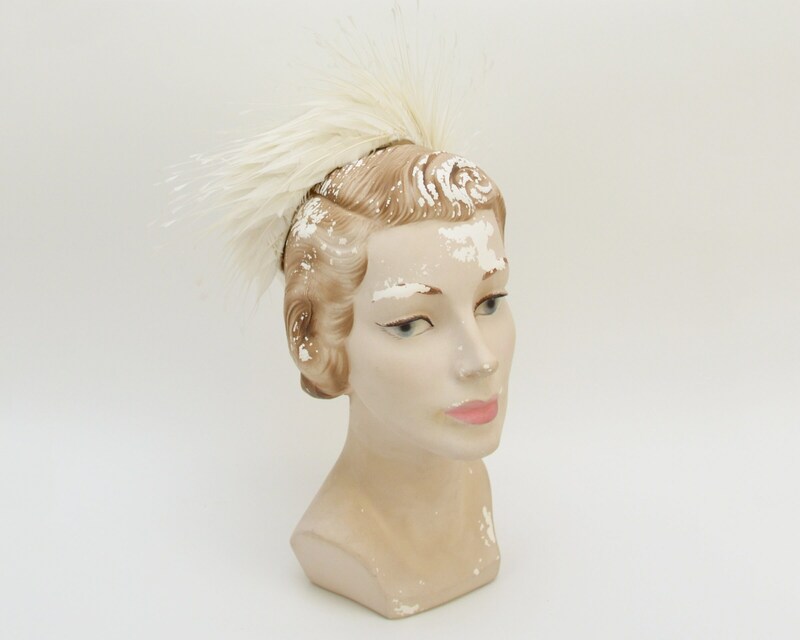 This pillbox hat is dramatic and beautiful. 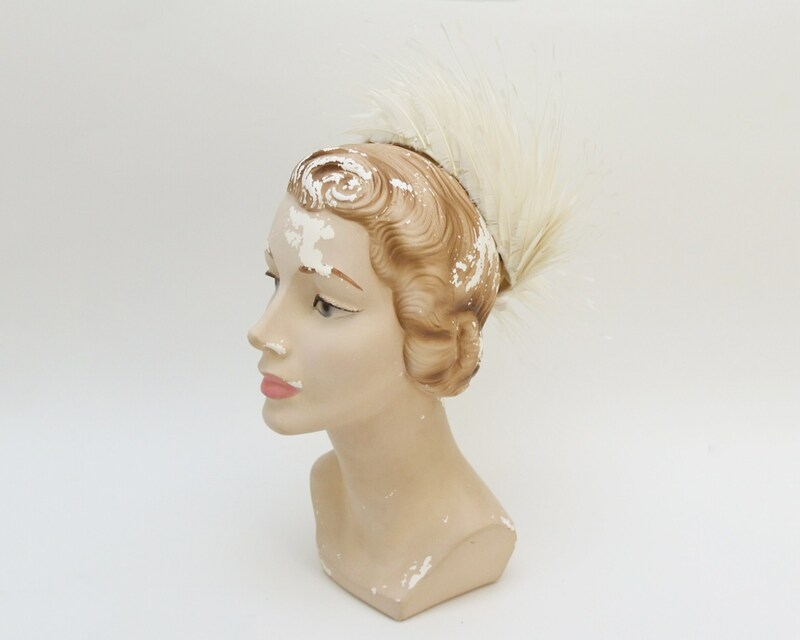 Two combs attach the hat on the top of the head, tilted down toward the nape of the neck.